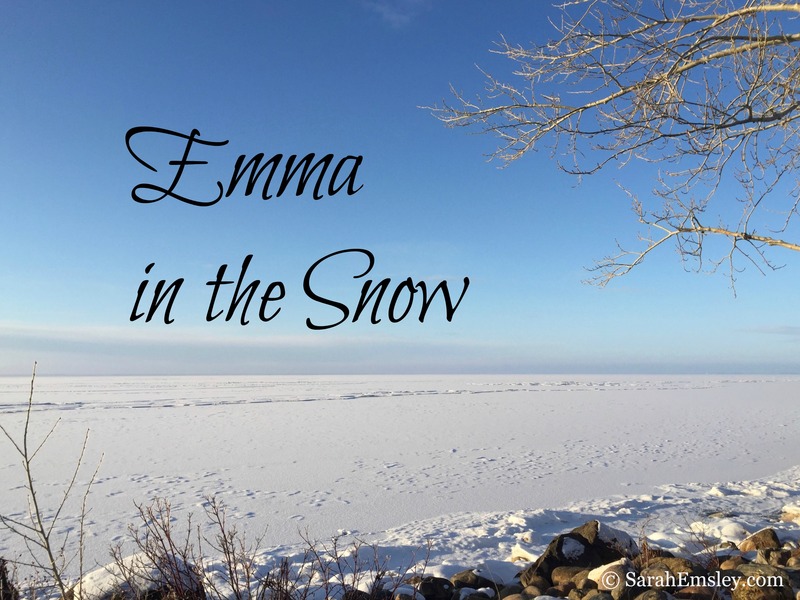 Emma was published on December 25, 1815, and I’m rereading it in honour of the 200th anniversary. 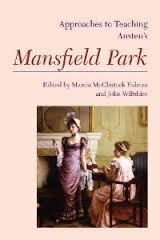 Soon I’ll be able to tell you more about the exciting series of guest blog posts I’m planning – kind of like “An Invitation to Mansfield Park,” the series I hosted in 2014, but shorter. The new series will begin in December of this year (2015). For now, I want tell you about something that occurred to me when I read about the “coincidence” that both Harriet Smith and Robert Martin were born in June. So here’s my question for you – do you think L.M. Montgomery is consciously echoing Austen here? I love the idea that having birthdays in the same month, or in consecutive months, is a meaningful coincidence. 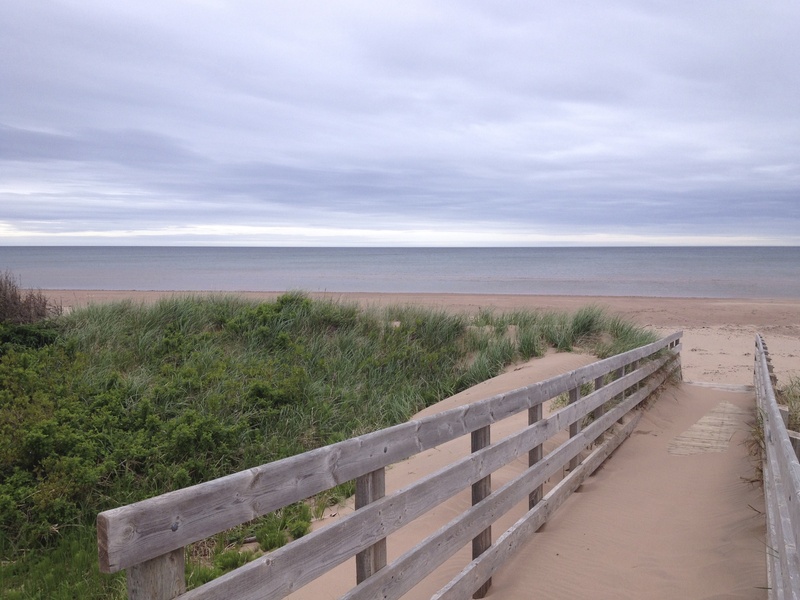 I visited Prince Edward Island again last week and I have some new photos to share with you. What a difference a few weeks can make! (Scroll down to the bottom of this post on “Anne and Gilbert After the Happy Ending” to see photos of snow and grey skies, from my visit at the end of April). In the distance you can just see the famous sand dunes of New London Bay. French River. 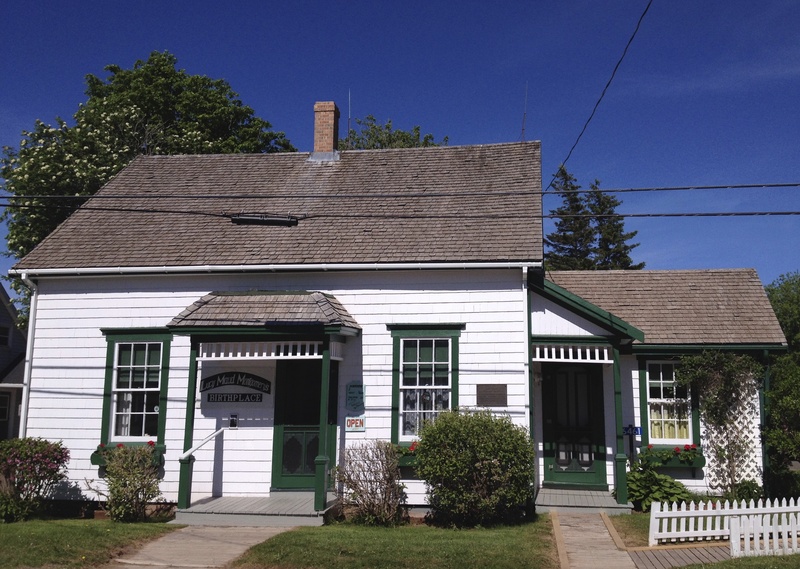 One of the most photographed places in PEI. Happy birthday to Harriet Smith today, and happy birthday to anyone else who happens to have a birthday in June (or May, or July, or February, or March). Interesting post. What strikes me most forcibly about these quotes is how they capture what young people (girls, mostly) do at the start of new friendships. We immediately look to find a way to relate to someone. Even such random and silly things offer connections when one is inclined to be friends. To me, it is the sound of immature seeking. That’s a very interesting way of looking at it — thanks, Leslie. Instead of focusing just on the other person (no matter how highly they think of Robert Martin and Diana Barry) both Harriet and Anne are looking hard to find a way to connect everything back to themselves. So many of us do this, at any age, though it does seem especially common among young people. I always thought it was funny that Anne thought their birthdays being in two consecutive months was a coincidence. I wouldn’t have thought so unless they were also the same day. I like what Leslie had to say about it being a way for friends to connect. Yes, I would have thought it would have to be the same day — or at least a lot closer, such as the day before or the day after. Both of them seem to be trying to find even more ways to strengthen a connection they’ve already established with a kindred spirit. What a wonderful coincidence — happy birthday, Raquel! I’m a big birthday person but the dates have to be pretty close for me to find them noteworthy. One of my best friends’ birthday is 3 days after mine – same year. We celebrate together because that’s a pretty great coincidence. But if your birthday isn’t in the same week as mine, it’s not going to be something I comment on. I sound like SUCH a jerk reading this back. I’m SO jealous that you can just go to PEI like it’s no big deal! It’s so beautiful! I think there’s something to be said for the same year. Anne is happy she has a friend at last, someone who’s the same age. The exact date of the birthday is probably less important than the fact that they’re close in age. I love hearing what everyone thinks about what’s worth noticing — the same day, three days apart, the same week, the same year. A friend of mine emailed this morning after reading this post and told me about how she and a friend have birthdays three days apart and, like you and your friend, were born in the same year. And about finding out that she and another friend were both turning fifty in the same year (four months apart). PEI was looking particularly beautiful last week — I do appreciate that I live close enough to visit at least once a year, and sometimes even two or three times. But I must say I was feeling quite envious of your travels when I saw the pictures from your “bookish vacation.” I’m thinking especially of Cinque Terre (which most of my family has visited, but I haven’t yet — someday!). In my family, we all have birthday buddies – our birthdays are paired throughout the year: my brother and I in March, my mom and a sister in July, 2 more sisters in October and my other brother and dad in November. Makes it easier to celebrate anyway! That’s always been pretty cool. Funny how quickly you can forget that you just got to visit somewhere awesome. I want to go back to Cinque Terre! When you go, you will love it. It’s the most amazing. 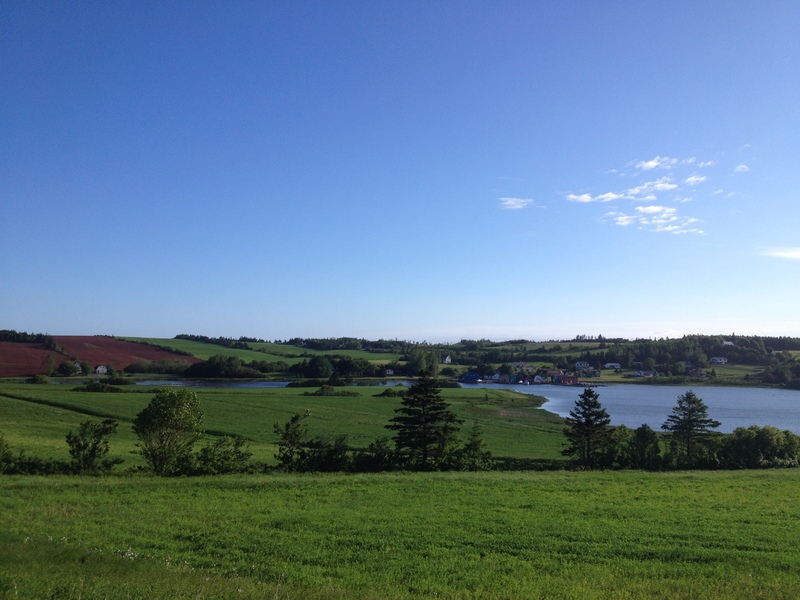 But PEI has lived in my imagination for the better part of my life at this point. We have some birthday coincidences like that in my family, too. (See, here I go again, just like Anne and Harriet, connecting what you’ve said with something about me! It’s so tempting to do this.) It’s fun to combine birthday celebrations that way. I hope there’s a PEI trip in the not-too-distant future for you. I, too, think it is more about the way a young girl yearns to find a connection where there is none. And I think that both Jane Austen and LM Montgomery had the intelligence and imagination to recall that feeling from their youth and use it here. I’m sure it wasn’t a conscious thing on Montgomery’s part (at least, not consciously following Austen). It shows how well they knew themselves and their subjects. In each of these sentences I see the girls looking years ahead as “joint celebrations” take place, now that they are “kindred spirits”… Harriet Smith is one of the most delightfully unspoiled characters in Jane Austen – as open and sweet as she seems. Thanks, Julie. Yes, I think it’s evidence that both writers are good at getting inside the minds of young girls. What a lovely idea about the joint celebrations in future years. Sarah, you must already recognize that it’s not a coincidence! Even if I had not recently posted the link last week to my blog post about Jane Austen (Miss Barry) as the kindred spirit of LM Montgomery (Anne Shirley)…. ….there is much more parallelism between the relevant passages you’ve cited from Emma and Anne of Green Gables than the very liberal definition of a coincidence in birthdays which are separated by a goodly distance in days. Consider that the birthday speech is spoken in both passages by a fanciful romantic girl rhapsodizing about a new intimate relationship that has her swooning, and also is spoken by the girl who is a foundling with no status to a girlfriend who is from a family with a great deal of status. And…if you believe (as I do) that Edmund Wilson was not wrong in his suggestion over 60 years ago that the relationship between Emma and Harriet is not entirely platonic, then that also fits with the perception by many that this is also true of the relationship between the “kindred spirits” Anne and Diana. “Anne, on her way to Orchard Slope, met Diana, bound for Green Gables, just where the mossy old log bridge spanned the brook below the Haunted Wood, and they sat down by the margin of the Dryad’s Bubble, where tiny ferns were unrolling like curly-headed green pixy folk wakening up from a nap. “I was just on my way over to invite you to help me celebrate my birthday on Saturday,” said Anne. is a sly wink at this pastoral exchange in which a child being born is not consulted as to her preference (in name or in birthday)! JAQUES I pray you, mar no more trees with writing love-songs in their barks. ORLANDO I pray you, mar no more of my verses with reading them ill-favouredly. JAQUES Rosalind is your love’s name? JAQUES I do not like her name. ORLANDO There was no thought of pleasing you when she was christened. Which all goes to show that Montgomery was very Austenesque in her slyly slipping in this sort of literary allusion as if they were just background noise…. 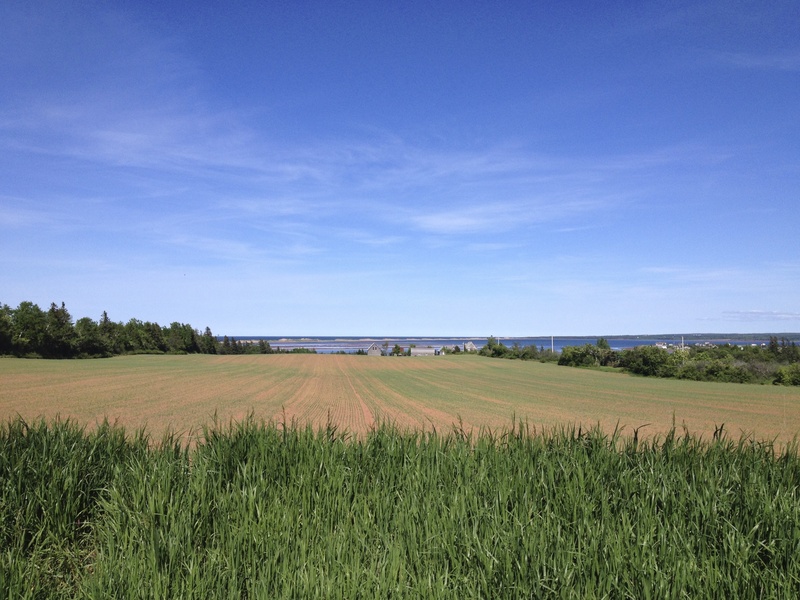 When I was in PEI at the beginning of May this year, I didn’t see any mayflowers or violets. I keep thinking about that line about bringing home the spring in our hearts. 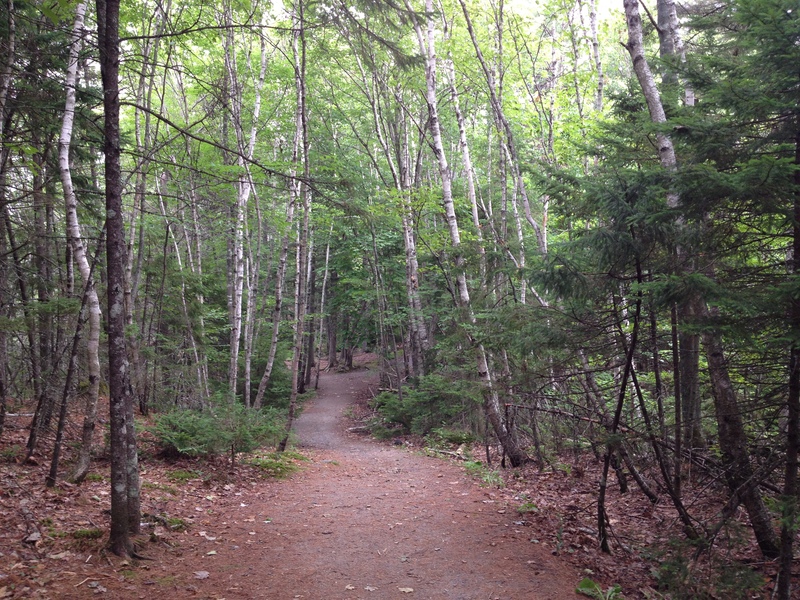 Memories of beautiful spring weather are important for Maritimers, because so often the days are grey and cold. Sometimes in May and June as well as in March and April. I love that line about Tom Lefroy’s birthday — thanks for mentioning it in connection with what Harriet says. Jane Austen clearly enjoyed these “coincidences.” Good point about Mr. Knightley’s estimation of Harriet. Perhaps one doesn’t necessarily have to be young and naïve to appreciate such things. I made my first trip to PEI last July and have not had a chance to organize my pictures but am I right in remembering that French River has the multi-colored fisherman huts? I hope to return some day! I agree with Leslie’s comments: at the beginning of a friendship one seeks similarities to bolster the relationship. Nothing against Diana but Emily and Ilse always seemed to have more in common than Anne and Diana. Yes, that’s French River. Very pretty, and one of my favourite places for a morning run. I hope you get a chance to visit again! I’m glad you brought up Emily and Ilse — I’ll have to think more about that comparison, and I’d be interested to hear your thoughts on the contrast between their friendship and that of Anne and Diana. Okay. I love this! I like to think that these coincidences are more than coincidences. These characters are meant to be kindred spirits or husband and wife (depending on the situation). My husband and I are actually only a few days apart–our birthdays are both in February. And I think it’s awesome! 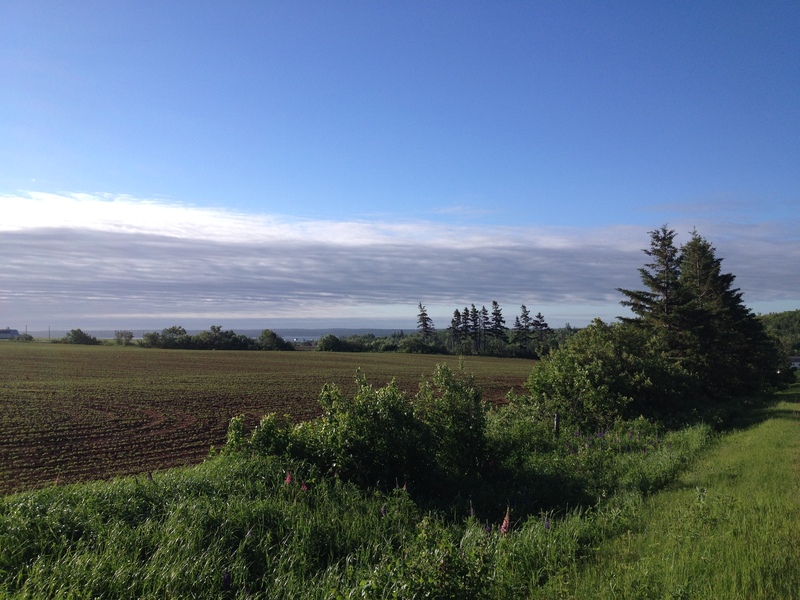 Also, I am absolutely smitten by your PEI pictures. I need to go there sooner than later! Looks just beautiful. That’s so great that your birthdays are so close together! Definitely a meaningful coincidence. Coincidentally, my family and I are planning another trip to PEI very soon, which means I should have some more pictures to share on the blog. 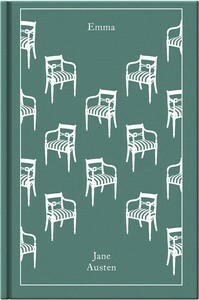 My friend Naomi and I are planning to co-host a readalong for Montgomery’s novel The Blue Castle in the fall, and I think I’ll probably write a blog post about it in the next week or two. I’m glad you enjoyed the photos in this post. Thanks for hosting the Anne readalong — I’m looking forward to reading what everyone has to say about the first book. Wow, this is going to be a busy year for you! Best wishes for the coming months and I hope you’ll be able to join the conversation in the fall. That is a really interesting catch paralleling Anne and Emma. I bet you’re right that Montgomery was echoing Austen. It’s a silly little detail, but I love how they parallel each other. I love that concept. I wonder what other little nuggets we have missed in these readings of Anne? Great question — I’d love to know more about this. I know Miriam Rheingold Fuller has written about the influence of Persuasion on Anne of the Island (in an essay in Persuasions On-Line), and I’ve been thinking recently about parallels between Anne Elliot, in Persuasion, and Emily Starr, in the Emily series. 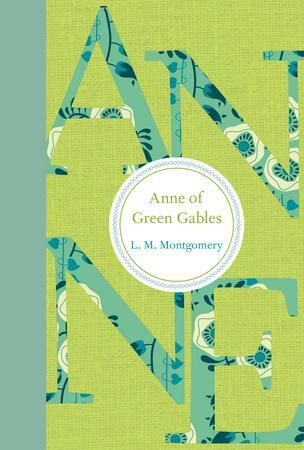 Anne isn’t important to her family — “she was only Anne” — and Emily is told she’s “not of much importance.” I’m sure there are many more connections between JA and LMM and I’ll be watching for them as I continue to reread Montgomery’s novels. Please let me know if you find anything in your reading of the Anne books. Or in any of LMM’s other novels. Thanks very much for visiting!